K-12 Outreach – Astrobiology Alive! 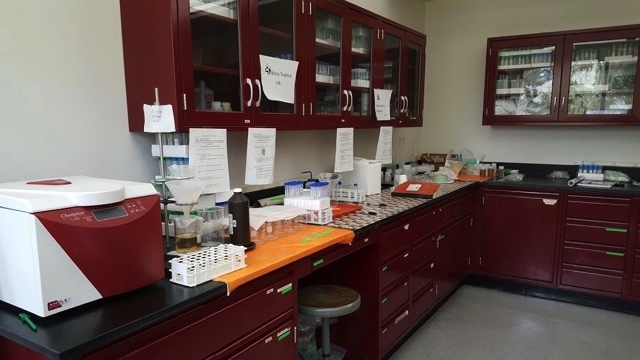 The cryptotephra laboratory in the Department of Geoscience specializes in the processing and analysis of extremely low abundance cryptotephra from sediments to provide precise dates for archaeological and geological events. The laboratory was established in 2013 to support an international effort to understand the evolution of early modern humans in southern Africa. The lab was modeled after the very successful tephra lab at Oxford University (UK) and uses techniques established by Blockley et al. (2005) but modified to process extremely low abundance cryptotephra. 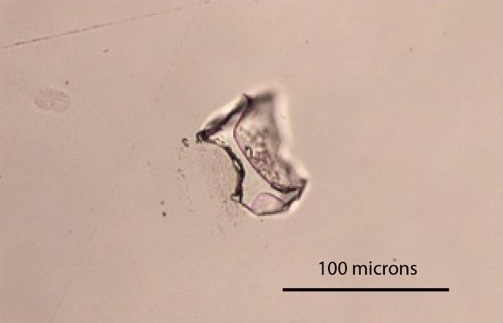 This type of tephra occurs as very small glass shards (usually < 100 microns in size) and in very low abundances (less than 10 shards/gram). Cryptotephra are found beyond the geographical limits of visible ash fall deposits, (e.g., the 75 ka eruption of the Youngest Toba Tuff) allowing correlations to be made over wider areas. Once shards are separated they are analyzed by electron probe for the major elements and by laser-ablation inductively coupled plasma mass spectrometry (LA-ICP-MS) for the trace elements. Probe work is done at UNLV using our Electron Microanalysis and Imaging lab (EMiL), but trace elements are analyzed at the LA-ICP-MS lab at Michigan State University. Major and trace element chemistry is then compared to international databases of tephra chemistry such as VOGRIPA, Smithsonian and PetDB (data of submarine volcanism) and a database of 60-100 Ka felsic volcanos in the Southern Hemisphere and equatorial belt compiled by our lab, to identify the source volcano. The age of the identified eruption provides a precise date for the stratigraphic layer containing the shards. Because shard deposition is almost instantaneous (geologically), the shard horizon defines a time line or isochron that can be used to date the deposit and correlate with sediments at other sites where the same tephra layer has been identified. The CLAGR lab is currently supported by NSF Grant BCS-1460366. A JEOL JXA-8900 Electron Probe Microanalyzer (EPMA) with 4 wavelength dispersive X-ray spectrometers (WDS) and an energy dispersive X-ray spectrometer (EDS). The probe is housed in UNLV’s Electron Microanalysis and Imaging Lab (http://web.unlv.edu/centers/emil/index.html). Petrographic microscope with imaging system. A shard from the 75 ka eruption of Toba in Indonesia found 9000 km away at Vleesbaai on the southern coast of Africa. Blockley, S. P. E., Pyne-O’Donnell, S. D. F., Lowe, J. J., Matthews, I. P., Stone, A., Pollard, A. M., Turney, C. S. M., and Molyneux, E. G., 2005, A new and less destructive laboratory procedure for the physical separation of distal glass tephra shards from sediments: Quaternary Science Reviews, v. 24, no. 16-17, p. 1952-1960. For any questions or requests regarding this website, contact Dr. Arya Udry at arya.udry@unlv.edu.